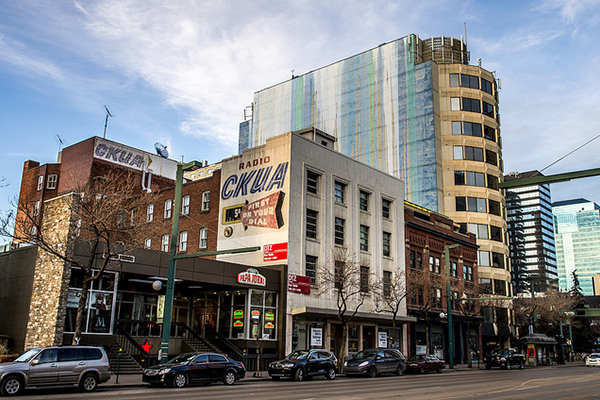 The historic building, which until recently housed the CKUA radio studios, is being redeveloped by RedBrick into a mixed-use office and restaurant character building through an Integrated Project Delivery (IPD) process. The IPD team is working within a fully collaborative framework to revitalize the building. The Alberta Block building will consist of five levels of leasable office space based on the newly created open floor plans within the character building. The main level will be leased as retail tenant spaces and is planned to incorporate a restaurant and bar. Challenge: Creating open floor space within a heritage structure. Solution: Entuitive designed new post and beam structural lines through the centre of the building to replace old load bearing walls which closed off the space and limited its usability. Challenge: The IPD process and framework; true IPD projects are not common in Alberta. Solution: Entuitive’s approach has, from our inception, been built upon collaboration and advanced technology which we apply to every project. This has allowed for our success as a participant in the IPD process.